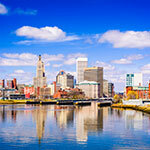 Visit Newport, an American city with centuries of history to visit. The Colonial and seaside city of Newport was a thriving seaport well before the founding of the United States. For visitors, Newport is famous for its Gilded-Age mansions, such as The Breakers, Marble House, Rosecliff, The Elms, and others. Touro Synagogue (1763), the oldest synagogue in American, and Trinity Church (1726), is where George Washington worshipped. 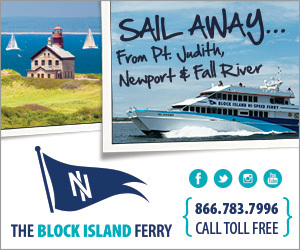 The famous Newport jazz festival and Newport folk festival take place yearly at Fort Adams State Park. 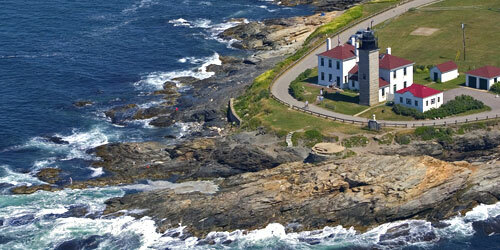 Newport is known for its Tennis Hall of Fame and as the home base for many years of the America's Cup yacht race. This historic small city is filled with picturesque homes, good restaurants, and fun shopping and sightseeing. 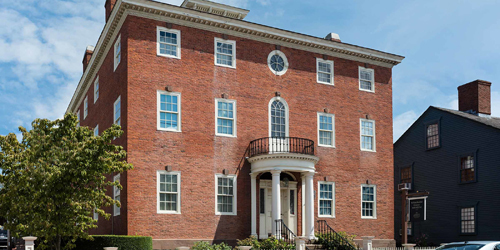 The Whitehorne House Museum, a renovated Federal-style brick mansion standing proudly along Newport’s historic Thames Street waterfront, is home to the only museum in the world specializing in 18th century Newport furniture and decorative arts. But the house itself is a marvel, built in 1811 and one of only a few Federal period brick mansions to survive in Newport, ultimately purchased by philanthropist Doris Duke. Among those consulted on interior finishes when the house was restored by the Newport Restoration Foundation were Jacqueline Kennedy Onassis and decorator Leon Amar. A garden, representing a Federal period garden for an affluent urban family, was recently added to the house, which was opened to the public in 1974. Founders Hall, site of the Naval War College Museum, was making waves long before it was named a National Historic Landmark. Built in 1820, the stately structure served as the Newport Asylum for the Poor before becoming the original home of the Naval War college in 1884. It is the site where Capt. Alfred Thayer Mahan delivered his famous lectures on naval history and tactics, published in 1890 as “The Influence of Sea Power Upon History, 1660-1783.” Now it is one of nine official Navy Department museums in the nation, exhibiting artifacts and documents dating from the 1500s to today. This historic oceanfront estate was built by Frederick Vanderbilt and at the time in 1887, was the largest of the Newport summer mansions. Designed in the English manorial style with landscaping by Frederick Law Olmstead’s firm, it was built to evoke the feel of an English country home. Purchased in 1922 by James B. Duke, it was left to his 12 year-old daughter Doris upon his death. 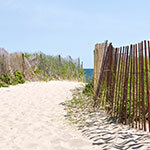 After years in New York City, Doris returned her attention to refurnishing Rough Point and began purchasing art and antiques to combine with family treasures. Today the house is decorated as she left it, filled with French furniture, European art, Chinese porcelains, and Flemish tapestries. Guided and self-guided tours are open to the public from April to November. The oldest synagogue in North America is a worldwide symbol of religious freedom. 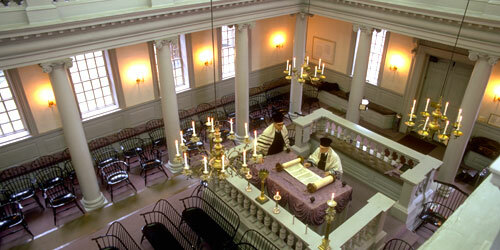 Built in 1763, the synagogue houses the oldest torah in North America and a letter written by George Washington 1790. Hours: Hours vary seasonally. Call for specific times or to make an appointment. Blithewold is a 435-room English-style manor house and home of the prosperous Van Wickle family. 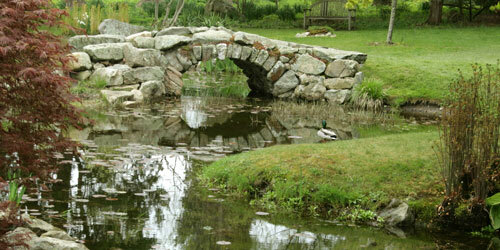 Its beautiful grounds and gardens offer sweeping view of Narraganssett Bay below. The house is English Country Manor style with influences of the English Arts and Crafts Movement. Lawns, gardens, and planted beds include a rock garden, a rose garden with a centenarian Chestnut Rose; one of the tallest Giant Sequoias on the east coast. Hours: Mid-April through Columbus Day, Tuesday through Saturday, 10 a.m. to 4 p.m. and Sundays, 10 a.m. to 3 p.m. The gardens and grounds are open year-round, daily, 10 a.m. to 5 p.m. Admission: Adults, $11; seniors, $9; youths age 6-17, $3. Historic church completed in 1726. George Washington worshipped there, and the organ was tested by George Frederick Handel before being sent from England. Contains Tiffany stained-glass windows and the only three-tiered, wine glass pulpit in America. Hours: Open May, daily, 1-4 p.m.; June 15-Labor Day, daily, 10 a.m.-4 p.m.; September-April, daily, 10 a.m.-1 p.m. While the current tower of this lighthouse was built in 1856, it sits on the site of just the third lighthouse built in the United States--back in 1749. A museum discusses the history of the lighthouse and the area. This essential American art form is on display at this largest collection original artworks from the Golden Age of American Illustration anywhere in the world. 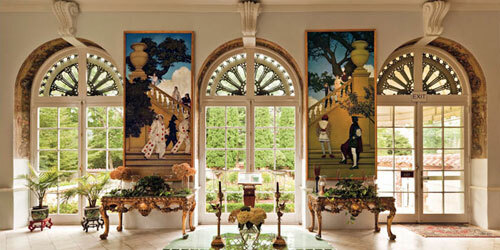 The museum includes artworks by N.C. Wyeth, Maxfield Parrish, Norman Rockwell, and more than 100 other artists. Vernon Court is a furnished 1898 mansion, a unique union of art and architecture, and a national treasure. Hours: Memorial Day to Labor Day; see website for hours. 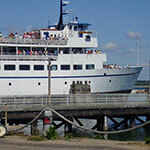 Open year-round by advance reservation for groups or private tours. This working farm is managed according to the principles of sustainable agriculture and raises heritage-breed cattle and other livestock. Visitors follow a self-guided walking tour to explore the open fields and pastures. Walk to commanding views of Narragansett Bay, stroll along the shore, and observe wildlife and the seasonal activities of the farm. The house is not open to the public. Owned and operated by Historic New England. Hours: June 1-October 15, Tuesday, Thursday, and Sunday, 1-5 p.m. Admission: Adults, $4; seniors, $3; students and children, $2. 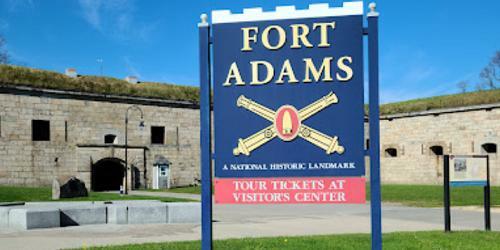 An active military fort from 1799 to 1945, Fort Adams sits on over 21 acres and held up to 2,400 troops. The Fort often hosts special historical events like reenactments of battles and the daily lives of soldiers in a historic setting. The original defenses still standing include walls, powder magazines, guns and cannons, and tunnels. See full description of Fort Adams State Park. Built in 1880, this Unitarian Church was named for William Ellery Channing, a leader in the Unitarian Church and the abolitionist movement. The structure is built mostly of granite, and features artistic stained glass windows and a bronze plaque by Augustus Saint-Gaudens. This church was attended by Julia Ward Howe, author of the Battle Hymn of the Republic. Hours: Open for Sunday worship at 10 a.m., and by appointment. One of the oldest continuously operation stores in the United States, Gray's was built in 1788. On the premises are the areas original post office, built in 1804, a historic soda fountain, display cases, and an ice chest. Numerous antiques are on display, and the store has cheddar cheese, penny candy, and collectibles for sale. Hours: Open year-round, call for operating hours. Built in the 17th century and expanded and remodeled over the next 200 years, the property was restored in 1956 by the Little Compton Historical Society. The house contains period furniture and artifacts. The barn features historic farm items, vehicles, and tools. There is a Colonial herb garden. Guided tours available. Hours: Late June through Labor Day and other times by special appointment. Admission: Cost: Adults, $5; Children, $1. 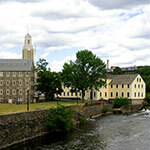 Originally built in 1762 as a market and granary, this complex has been restored and is now a popular mall. 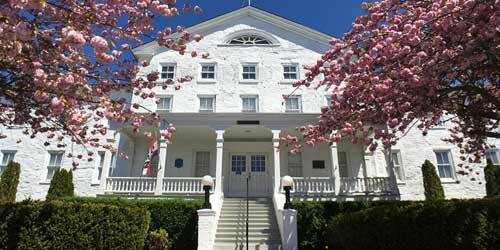 Linden Place mansion was built in 1810 by the seafaring General George DeWolf. The property includes the mansion, a ballroom built in 1906, a barn built in the 19th century, and an 18th-century summer house. The grounds include historic sculpture and gardens. Live music performances are offered throughout the year. Guided tours of the estate, featured in the film "The Great Gatsby," are given May through Columbus Day, Thursday to Saturday from 10 a.m. until 4 p.m. and occasional Sundays. Tours by appointment are available November through April. Hours: Mansion and museum store, May 1 through Columbus Day, Thursday-Saturday, 10 a.m.-4 p.m., Sunday, noon-4 p.m.; office open daily, 9 a.m.-4 p.m.
Rhode Islands oldest Roman Catholic parish was founded in 1828. 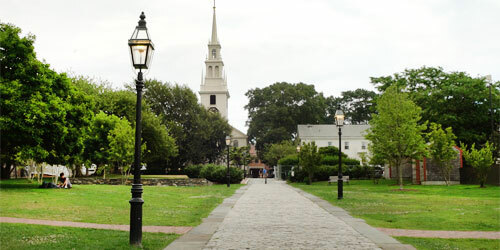 The church is best known as the site of the wedding of Jacqueline Bouvier to John Fitzgerald Kennedy in 1953. Hours: Open Monday-Friday, 7-11 am. ; closed holidays. This is a 35-acre colonial farm, established in 1750. This Rhode Island museum features rare breeds of livestock, a barn, cooling house, blacksmith, and springhouse, making it a great thing to do with kids for a family activity on vacation. Hours: Year-round, Tuesday-Sunday, 10 a.m.-4 p.m. Cost: Adults, $5; children, $3. 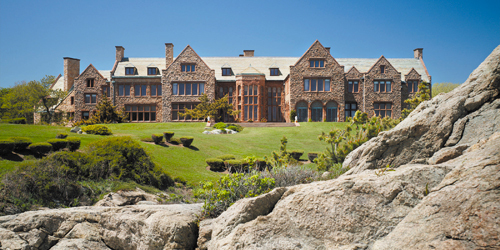 A nationally recognized university in the heart of historic Newport, Salve Regina has a beautiful oceanside campus on the edge of the scenic Cliff Walk. Built in 1787, this windmill has been restored and is owned by the Jamestown Historical Society. Tours are available. Hours: Open mid-June to mid-September, Saturday and Sunday, 1-4 p.m. and by appointment. A bit of mystery surrounds this site: some theorize it was built by Colonial farmers, others that it is far older and actually may have been constructed by visiting Norsemen before the 15th century. Hours: Open year-round, dawn to dusk. The oldest restored home in Newport, built in 1675. The house is the site of the Stamp Act Riot of 1765 and was home to Colonial governors, justices, and patriots. Property also contains a Colonial herb garden. Hours: Open during the summer or by appointment. Call for times. Next to the Newport Historical Society Museum, this church was built in 1729 and is the oldest 7th Day Baptist structure in the U.S. The pulpit is rich in decor. The building includes a William Claggett clock. Call for hours and to make an appointment. Built in 1729 by Dean George Berkeley, an Anglican bishop and philosopher. The home is authentically furnished with 18th century antiques and the small gardens are landscaped with a variety of plants and flowers. Hours: July-August, daily except Monday, 10 a.m.-4 p.m. Admission: Adults over age 15, $5. The museum and hall of fame present the story of the Herreshoff Manufacturing Company and the America's Cup competition. From 1863 to 1945, the Herreshoff Manufacturing Company produced the world's finest yachts on the cutting edge of design and engineering. This Rhode Island museum's collection includes 60 original Herreshoff boats, steam engines, artifacts, and photographs from the Golden Age of Yachting. Hours: April 26-November 2, 10 a.m.-5 p.m.; other times of year by appointment. Admission: Adults, $10; seniors over age 65, $8; military, $8, youth over age 10, $5. Outstanding portraits done in the 18th and 19th centuries can be found in the nation's oldest library building. The library hosts many special cultural and seasonal oublic events throughout the year. The most recently built church for a congregation originally formed in 1695. Constructed in 1835, this is one of only two churches in the U.S. to be completely decorated by 19th century painter John LaFarge. Open by appointment only. In the Newport Armory, built in 1836, the museum contains a large collection of military artifacts, both from the U.S. and foreign sources representing more than 100 countries past and present. The museum is run by the Rhode Island Militia, which was chartered in 1741 and is the country's oldest military organization. Hours: May–October, Saturday, 10 a.m.-4 p.m. and by appointment the rest of the year. Admission: Free; donations are accepted. Built in 1699, the meeting house is the oldest religious building in Newport. Features the history of the Quakers, once the dominant religion in Newport colony. Open by appointment only, call at least one week in advance. The oldest schoolhouse in the United States, built in 1716. Antique textbooks, school bells, and school furniture on display. Hours: Memorial Day-Labor Day, Saturday-Sunday, 1-4 p.m.; also by appointment.